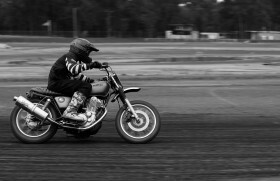 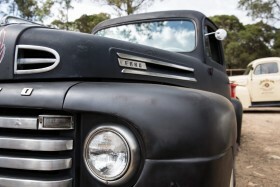 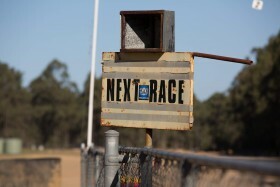 Anticipation was at an all time high as we rolled up to the Napean Raceway last Saturday afternoon. 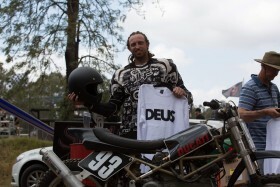 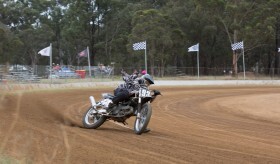 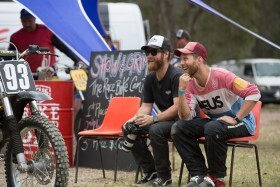 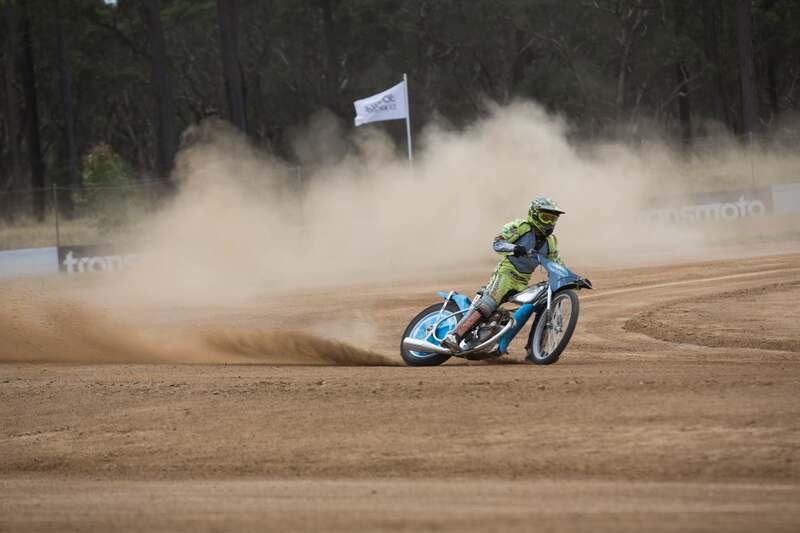 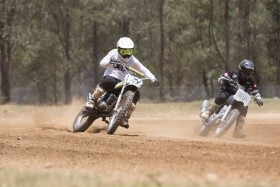 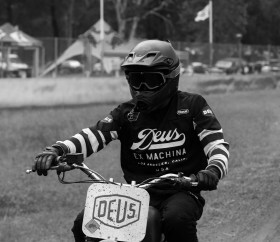 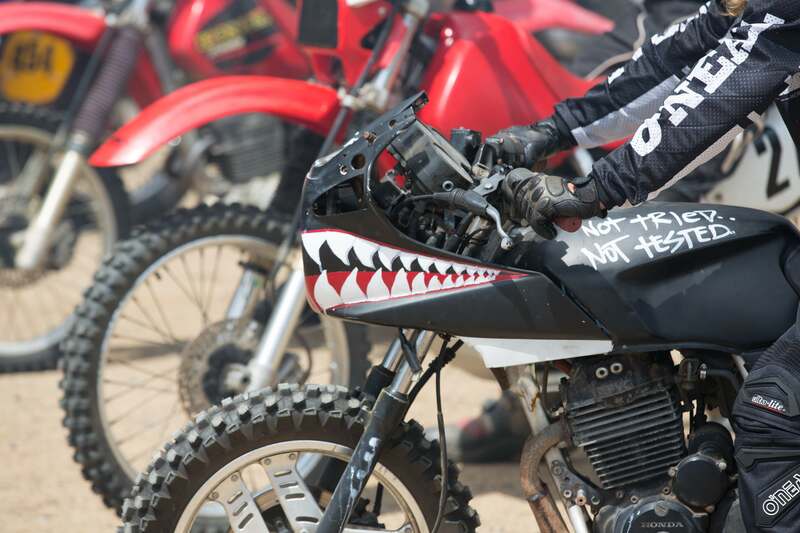 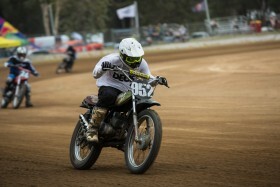 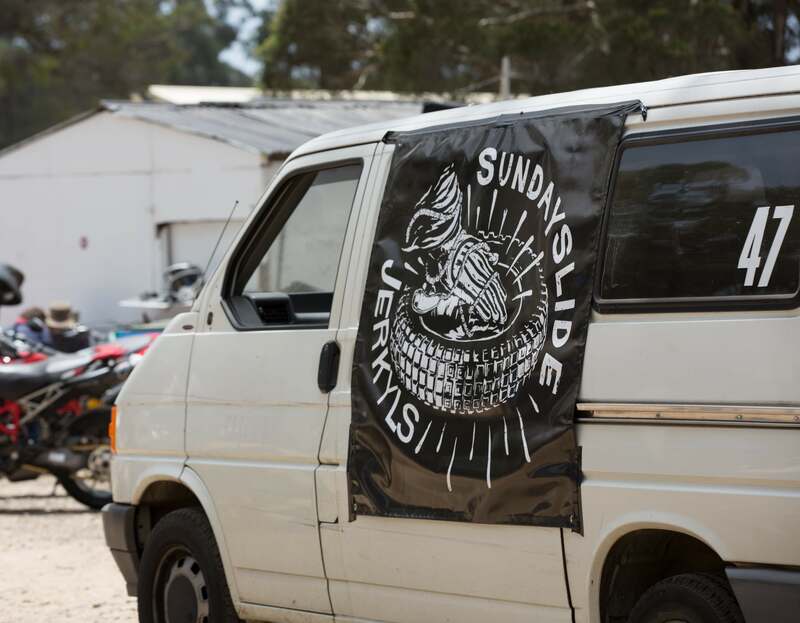 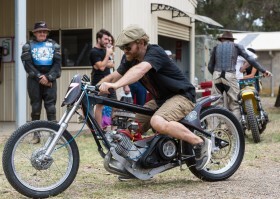 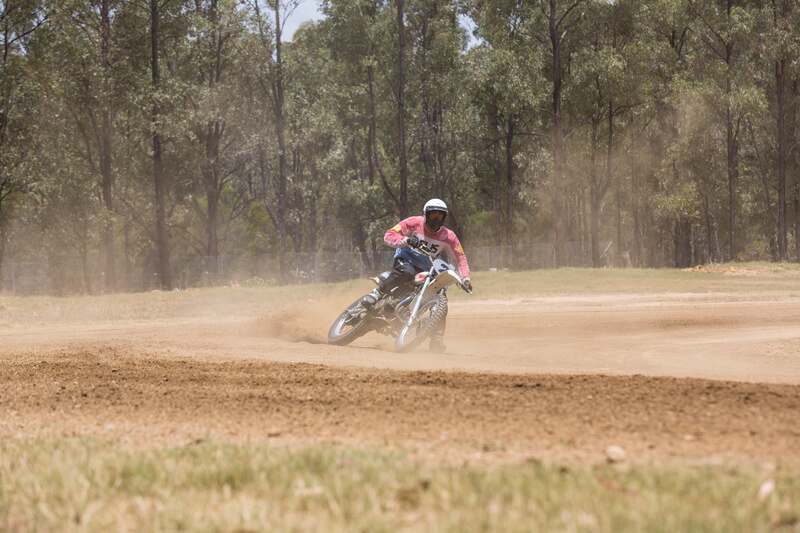 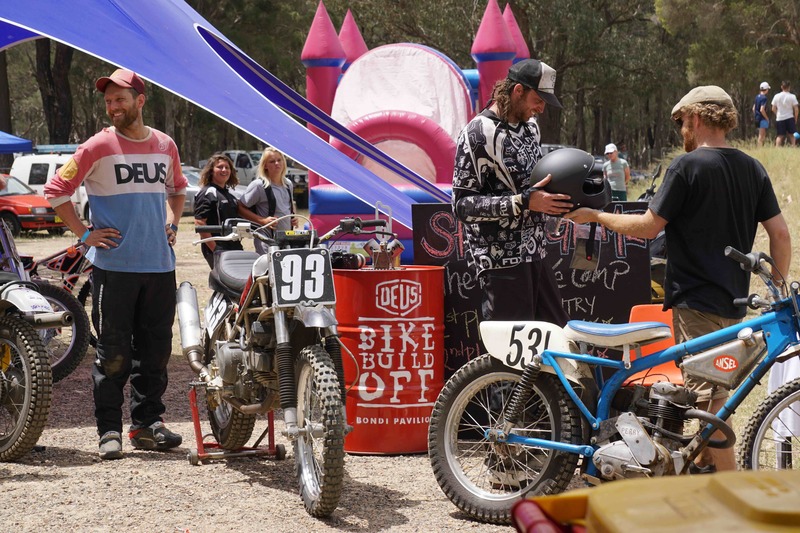 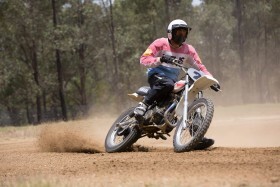 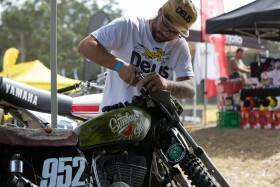 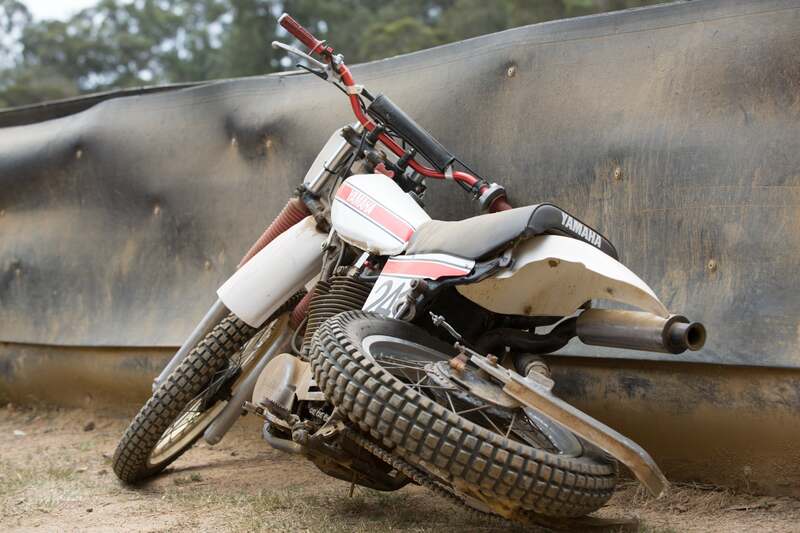 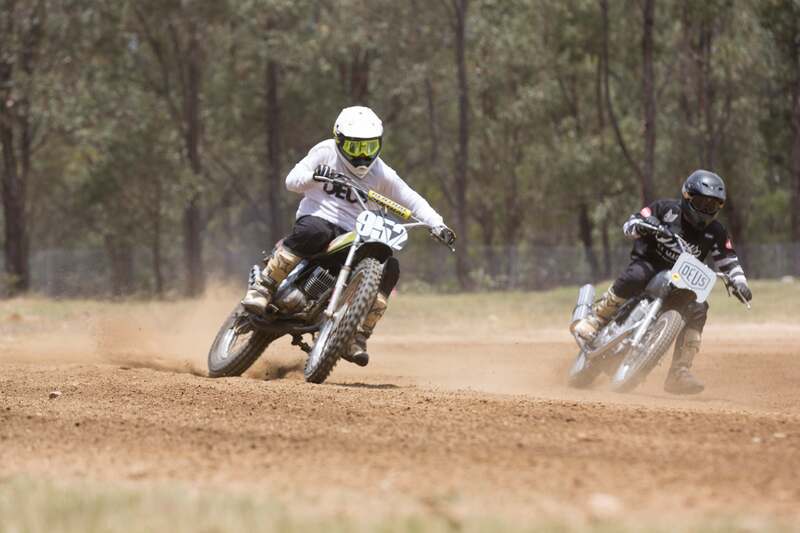 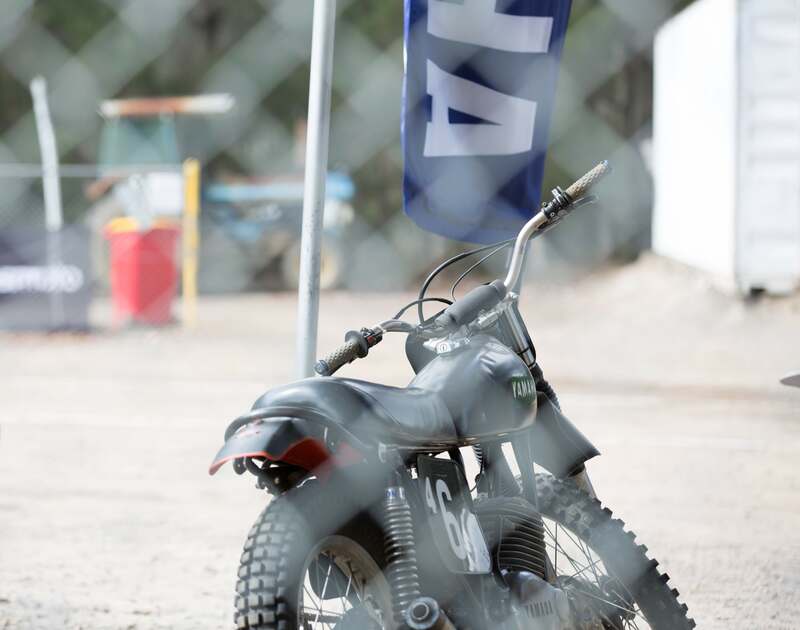 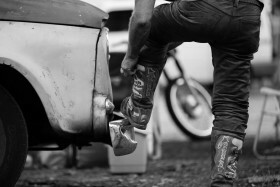 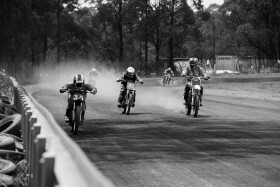 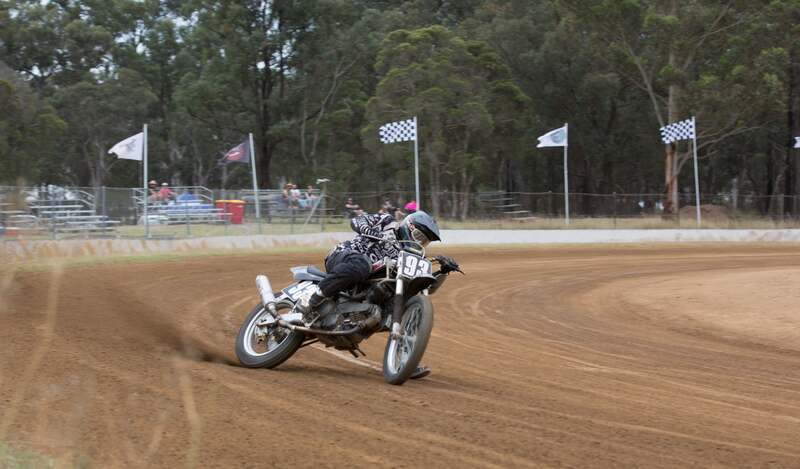 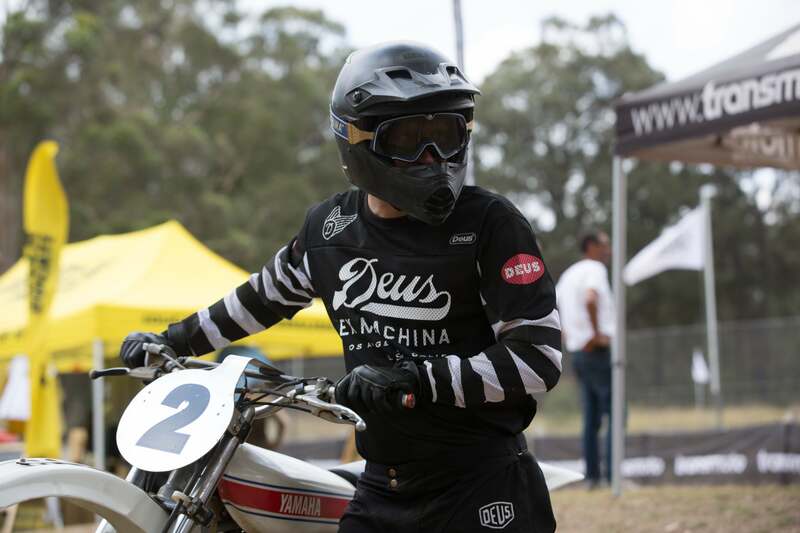 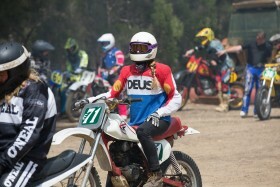 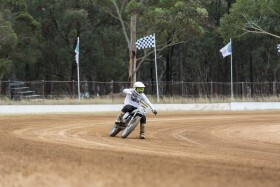 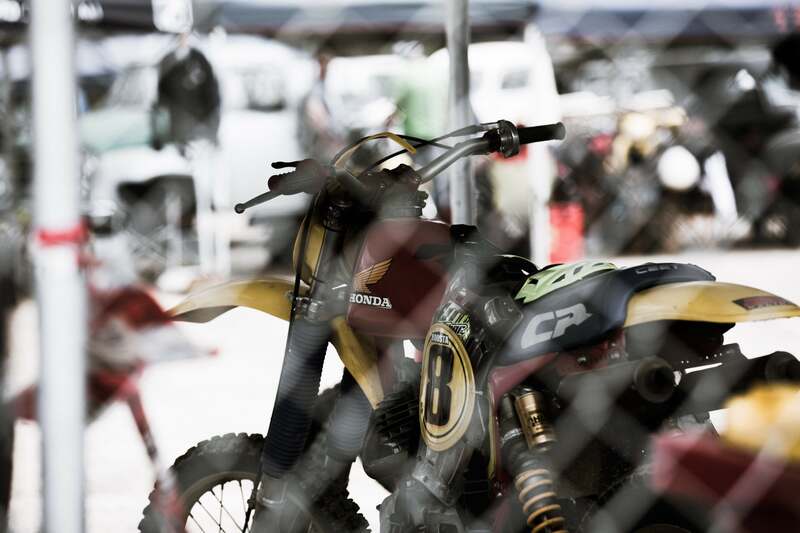 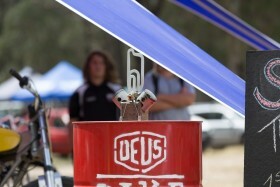 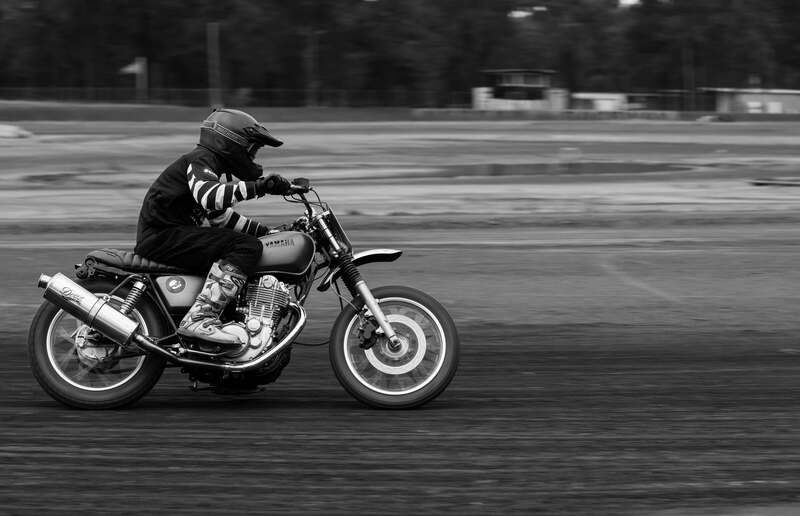 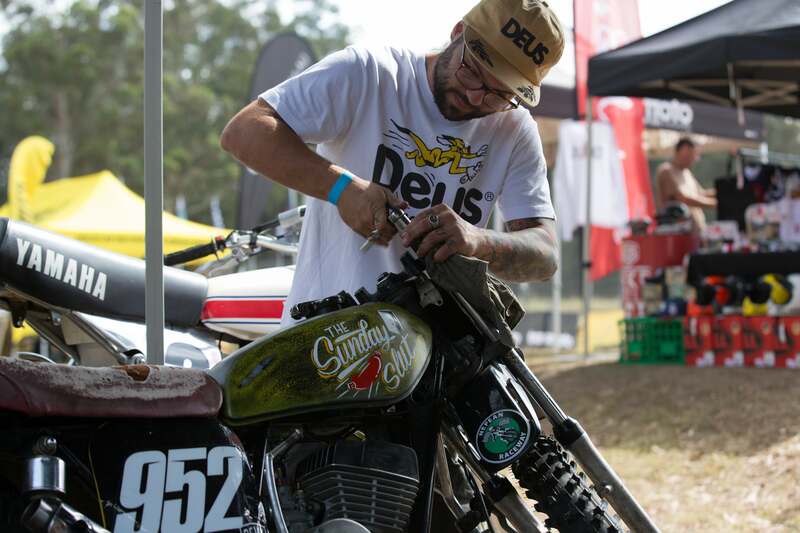 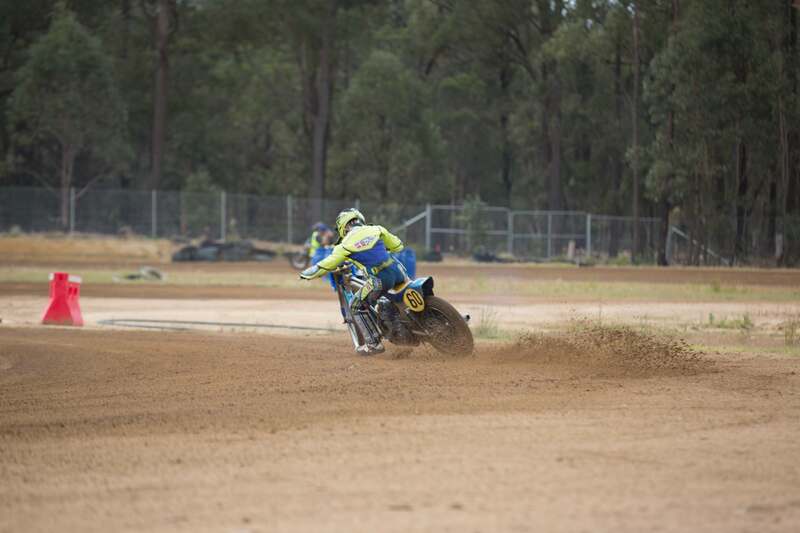 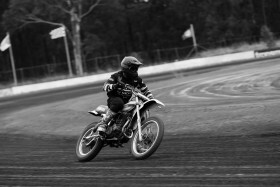 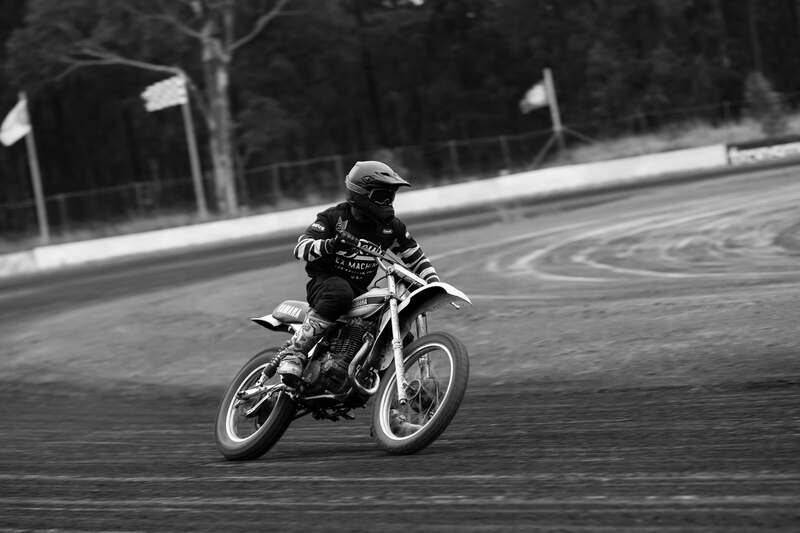 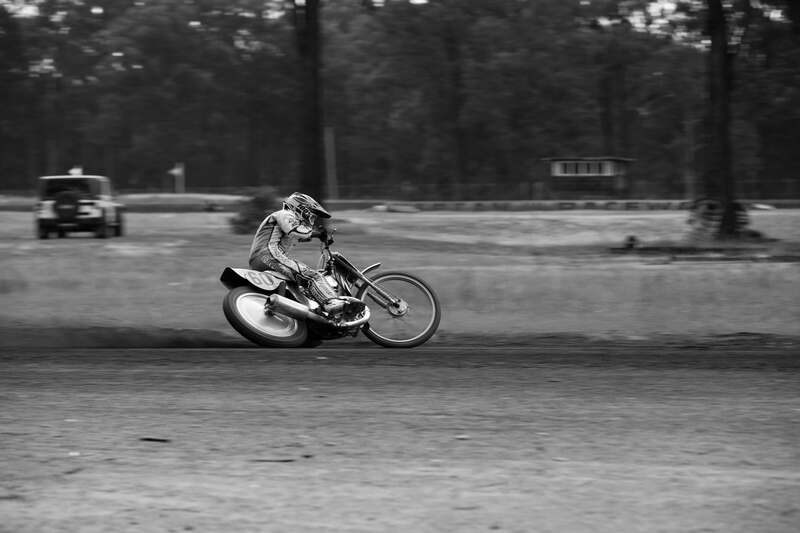 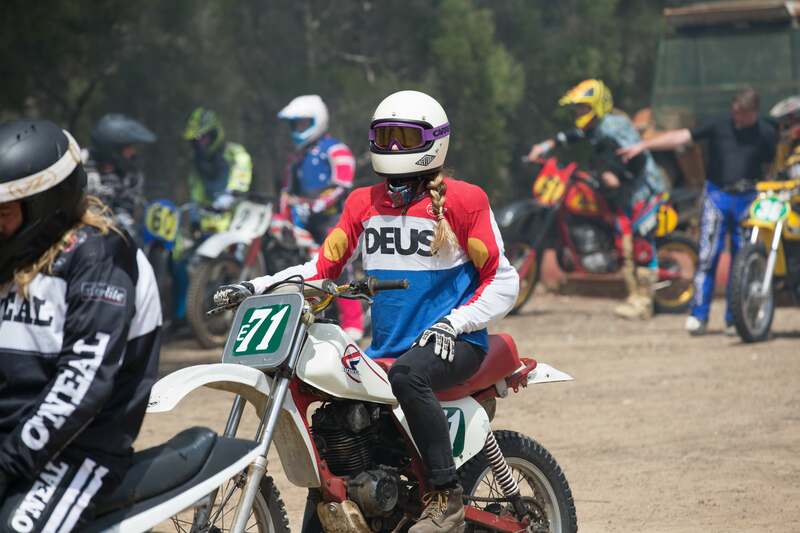 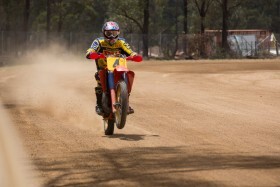 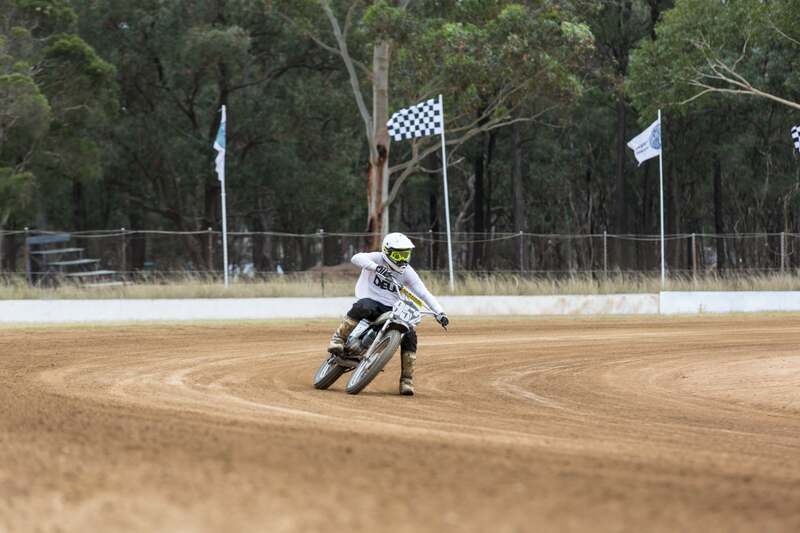 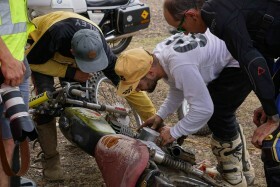 The track was perfectly lit by the afternoon sun showcasing the pristine track waiting to be ridden – however council regulations stating no bikes were to be started until Sunday meant beers and a BBQ it was. 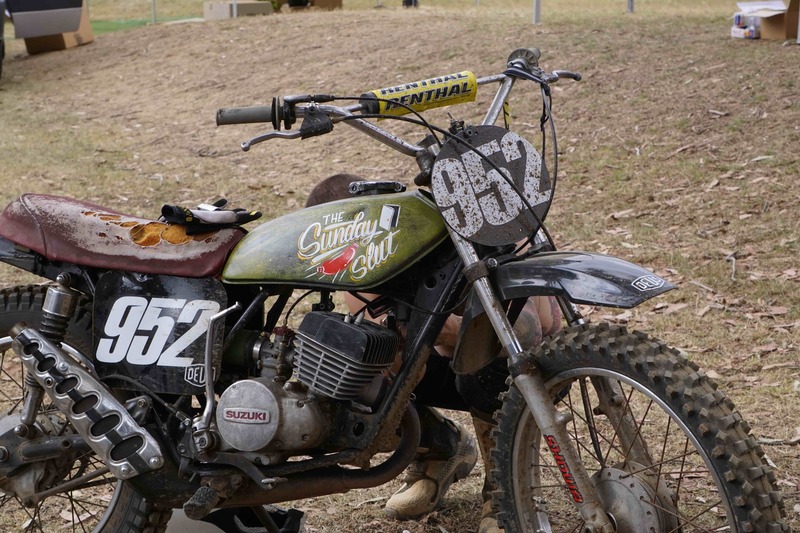 After a night of beer infused story telling, we awoke dry mouthed and heavy headed to a beautiful day for another Sunday Slide. The track was perfect, freshly groomed and watered, ready to be torn apart by any bike that could fit a dirt tyre, and the Rising Sun Workshop & Cafe had our engines ticking with their excellent brews and B&E rolls. 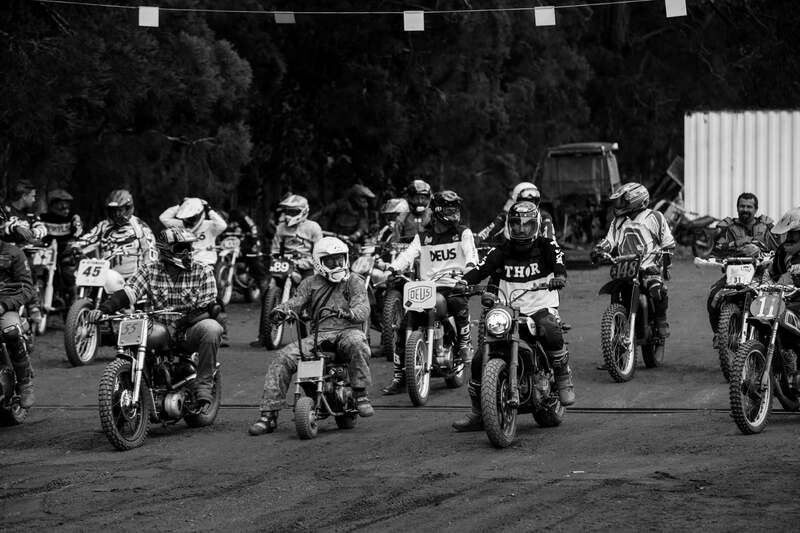 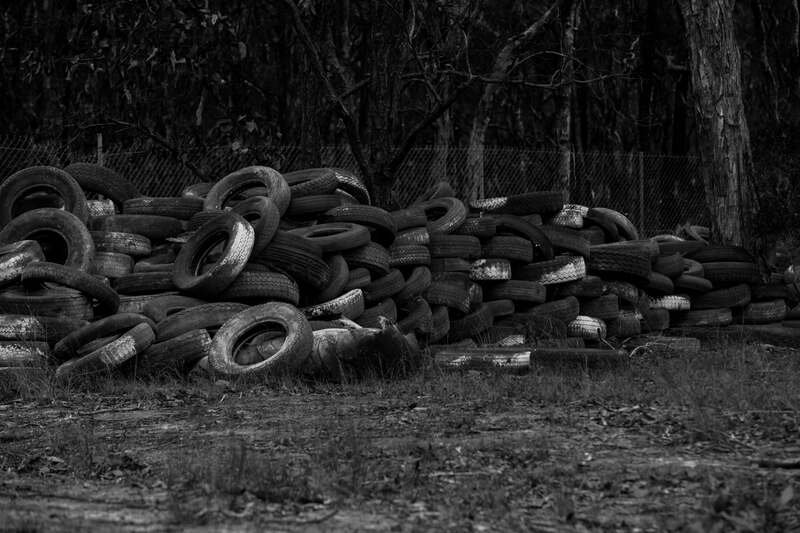 At 10am sharp the air filled with the sound of bikes kicking over, bellowing smoke and evaporating egos. 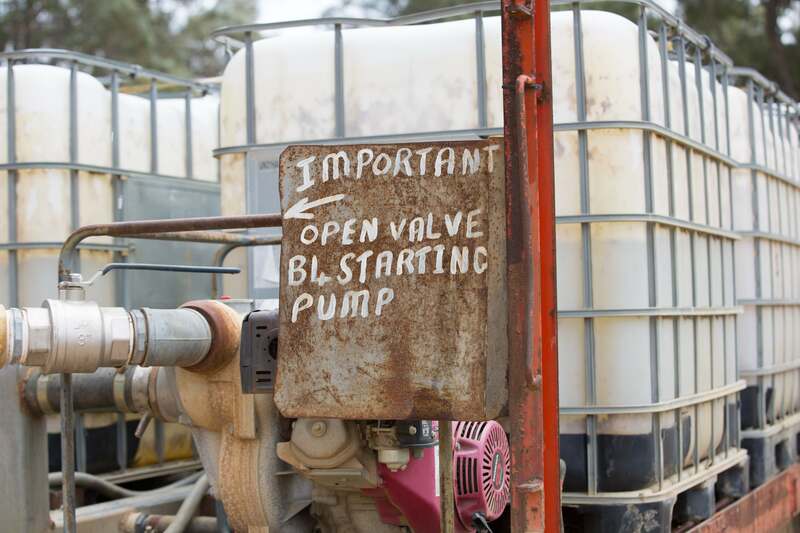 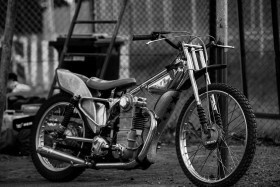 Modern motorcycling is ruled by the four stroke, so the sound and always satisfying smell of the two stroke engines was a refreshing way to start the morning. 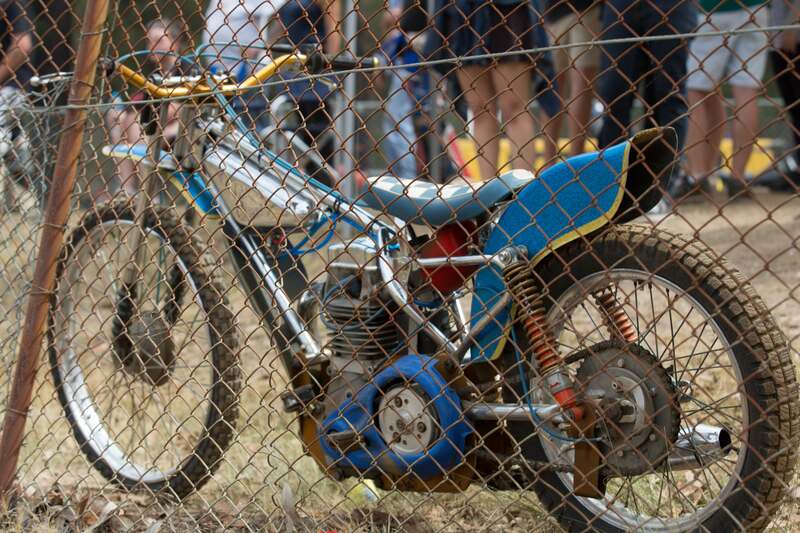 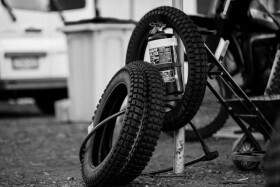 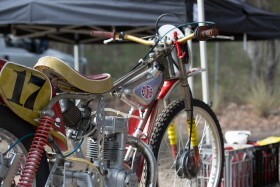 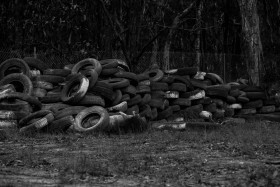 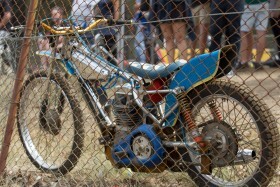 The bikes ranged from posties to modified Bonnevilles to fully fledged vintage dirt track machines. 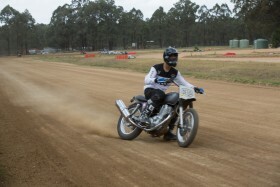 Multiple classes and 15 minute sessions ensured the promise of many laps throughout the day. 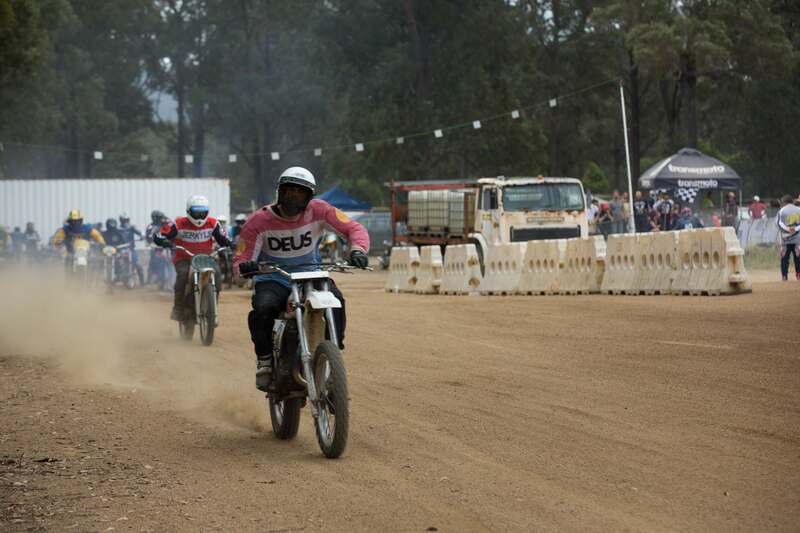 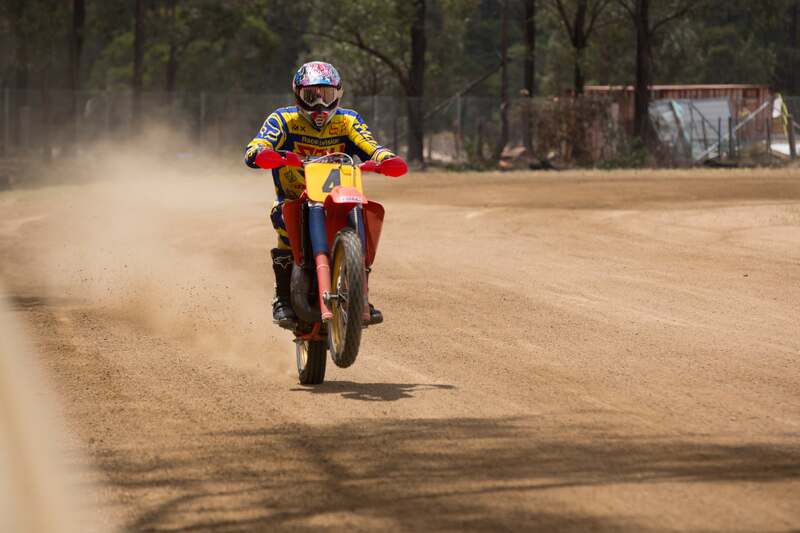 And many laps were had – dirt flying starts, wheelies up the straights and sliding through and out of corners, meant there was plenty of entertainment for the watching spectators. 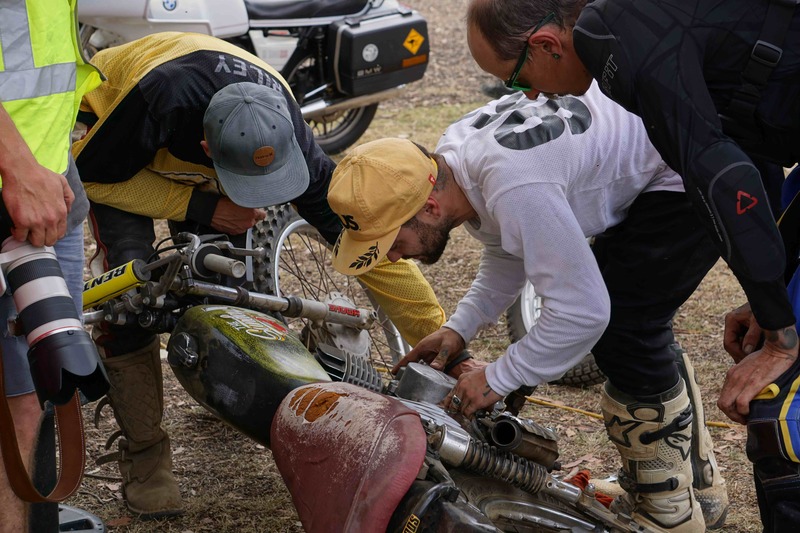 Days like the Sunday Slide are the days that make you proud of the motorcycling community, once were strangers now are pit crew, having worked together to keep the once forgotten farm bikes out on the track. 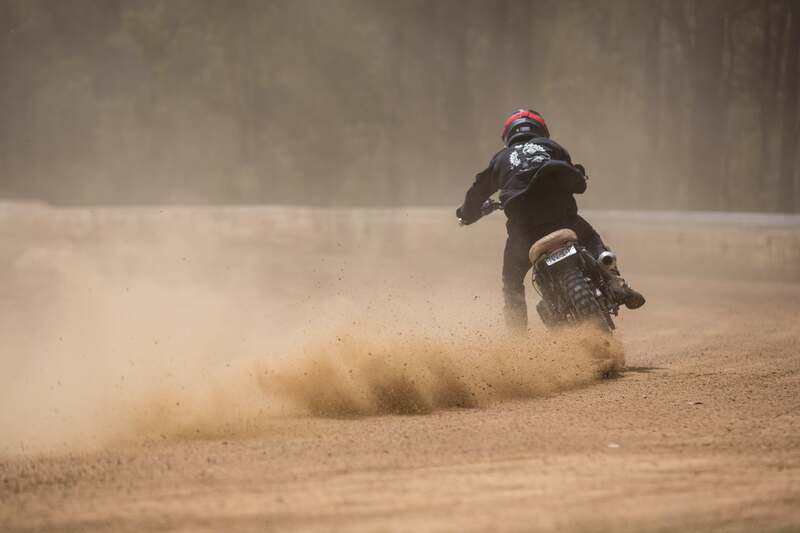 It was a day of dust storms and thundering exhausts, we’d replaced bugs for dirt and the dusty smiles and cloudy memories will keep us going till next time.